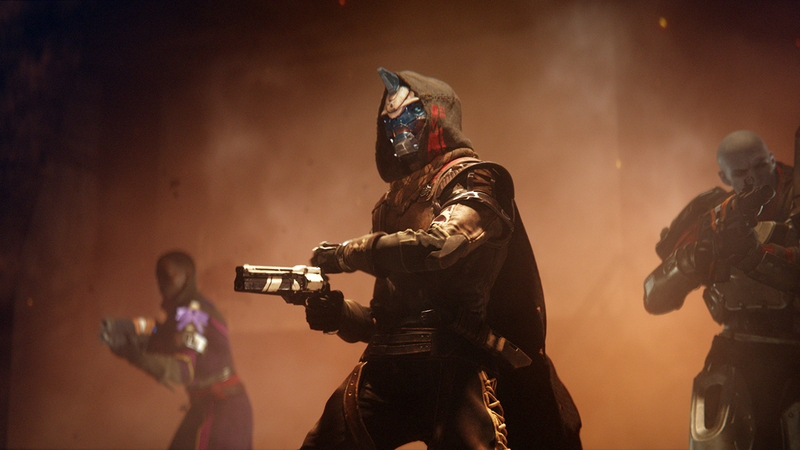 Destiny 2 will mark the end of Bungie's struggle to eliminate enforced crunch, according to head of engineering Luke Timmins, a process that started with the "brutal" experience of finishing and shipping Halo 2. 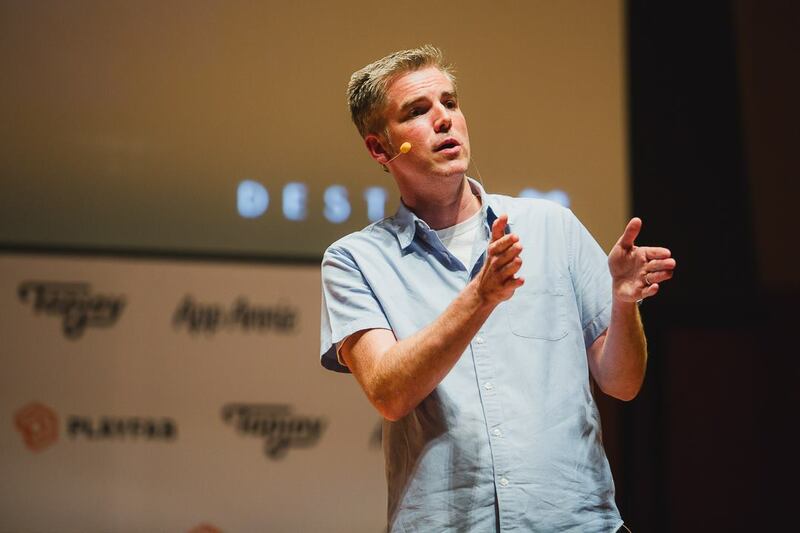 Speaking at Casual Connect USA this week, Timmins traced the evolution of Bungie's approach to "people management" in his 16 years at the company, which he joined as a tester five months prior to the launch of Halo. "The craft and skill-set of making other people succeed," he said. "Your manager is responsible for your happiness, your engagement; how you're actually doing as a person, how you're doing in your craft as an engineer. They're also responsible for your career planning. That's what management means at Bungie." "The Halo 2 crunch almost killed Bungie as a company. It is the most I've ever seen humans work in a year and a half"
It wasn't always the case. Timmins described the 18 months leading up to the launch of Halo 2 in November 2004 as "brutal" on the company's workforce, and its engineers in particular. Bungie was in a state of crunch for virtually that entire period - based on Timmins' definition of crunch as, "whenever you're working at least 50 hours a week." "The Halo 2 crunch almost killed Bungie as a company," he said. "It is the most I've ever seen humans work in a year and a half. It was brutal. "It almost killed us, and those of us that were left basically vowed, 'never again.' Never again can we put ourselves through that." The strain of that time led to a new way of thinking about crunch within Bungie. "There's the crunch you want to do," Timmins said, "and there's the crunch you have to do." The latter, where employees are required to work 50 or more hours a week to ship the game, is the more "nefarious" form of crunch. However, while the former is mostly driven by positivity and passion, it can still result in a negative outcome for both the individual and the company. "The one you want to do can be awesome, because you have passionate people who are excited and have cool stuff to work on. That can be really good, but you've got to be careful. People can be super excited and before you know it they're working a ton and getting burned out." Timmins warned the Casual Connect audience that crunch will become part of internal culture faster than most expect - and it will take far longer to purge that from the company that it did to take hold. "When your company is used to crunching, not relying on crunch to ship is now hard," he said. "Un-ringing that bell is very difficult. It requires changes to planning and culture, which takes a long time to do. It took us years and multiple games to move away from crunch philosophy." WIth Halo 3, Bungie started to think about "people management as a craft" in greater detail, laying the foundations of a new philosophy intended to improve trust and communication within the company. The "bedrock" of this new approach to management were "one-on-ones" - mandatory weekly meetings for every employee and the manager assigned to them. "When your company is used to crunching, not relying on crunch to ship is now hard"
"Once a week, you'll probably find half of Bungie walking around Bellevue park," Timmins said, stressing that the goal of these meetings is to reach beyond the "cultural programming" that makes most people pretend to be fine when asked by a superior about their wellbeing. The one-on-one meetings are used to set goals and targets for each individual, which are then reviewed by all of Bungie's managers every six months. "The answer is no. People management is more important than that one extra feature." By the time Bungie launched Halo Reach in 2010, at which point work had also started on Destiny, it became clear that one of the outcomes of a culture of crunch is a lack of trust in management. The system of one-on-ones and reviews was put in place for the benefit of the company's employees, but it lacked transparency. "Building a system that's not intentionally opaque is not the same thing as making it transparent," Timmins said. "The downside is that it can take years before people really believe that there is no smoke filled room at your company, and there's no big boss with a cigar saying, 'that guy gets a promotion.' This is hard to do." Bungie's managers started to meet with the employees they supervised before the six-month review meetings, to detail what would be discussed. Not everything would be positive in some cases, but Timmins said the benefits of that honesty and transparency were immediately obvious. "That relationship is gold," he said, adding that Bungie also places great importance on managers supervising the same employees over long periods of time. "That relationship could be the thing that keeps a person from quitting. That could be the thing that saves them." "It can take years for a culture to develop; for people to believe it's okay to take a vacation"
Destiny brought the final stage of the process: enforced vacation, a measure directly related to, "the crunch you want to do." Bungie gives its engineers 40 days off each year, but whether through paranoia or passion, a lot of employees simply weren't taking the opportunity for a break. "A lot of people get burned out because they don't take the vacation, so as a manager part of your job is to make sure they do," Timmins said. "Leadership needs to set examples. It can take years for a culture to develop; for people to believe it's okay to take a vacation, that it's not a crazy crunch culture where something bad is going to happen when they come back." Destiny was the last "department-wide crunch" for Bungie's engineers, Timmins said, but there was none at all on its various DLC releases. "Destiny 2 will actually be our fifth release - we've done all these DLCs - with no full, enforced crunch. We've very proud of that. It took us a long time to get there from the Halo 2 days." Part of that is better development processes, but Timmins insisted that the majority was down to better and more personal management of people. It allowed Bungie to address and reduce both the crunch you have to do, and the crunch you simply want. "With crunch, and it's not just engineers, it really is the buy in from everybody," he said. "We always have designers who think a feature is going to be amazing, but it's over by four months and it's not going to fit. On Halo 2 I was that person, and before you know it I'm there every day until 4am and I never see my wife. "The majority of it is always having enough awesome ideas and things you want to build, so you always need to have that rigour. 'No, we can't do that, and that's okay.' The second you don't, the whole thing falls apart." GamesIndustry.biz is a media partner of Casual Connect USA. We attended the conference with assistance from the organiser.